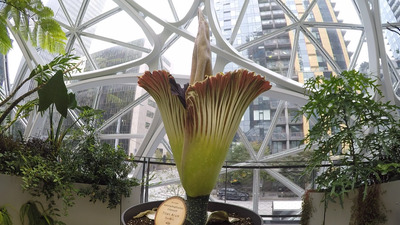 The 6-foot-tall plant, which is technically called a “titan arum,” sits in the rainforest inside of the Spheres on Amazon’s Seattle campus. The Spheres opened earlier this year, and they’re intended to serve as a relaxing place for employees. But Amazon let visitors into the dome-shaped buildings over the weekend to witness an event that only happens once every seven years (at least) for the corpse flower. 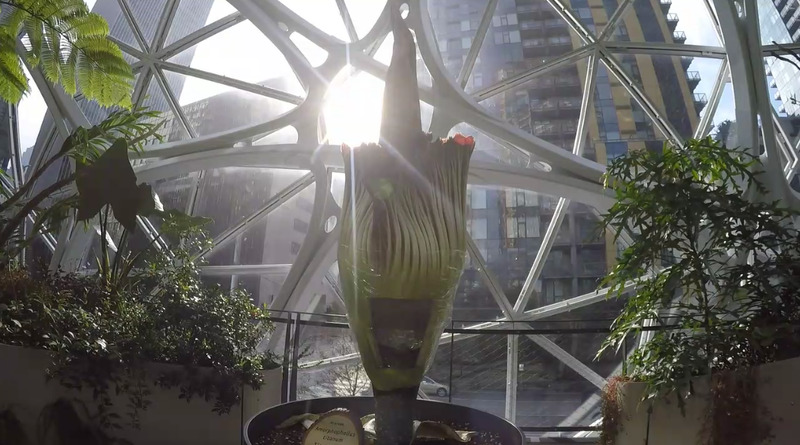 Business Insider’s Avery Hartmans visited the Spheres in downtown Seattle last month. The glass dome-shaped Spheres were designed as a relaxing communal place for Amazon employees to work and collaborate. 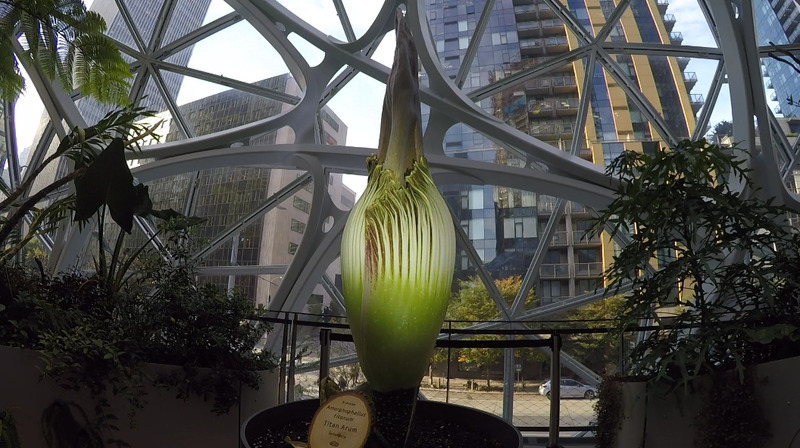 The Spheres officially opened earlier this year right next to Amazon’s existing headquarters, whose construction cost a cool $US4 billion. Morticia the plant stood only 19 inches tall when she first came to the Spheres in September, Amazon says. 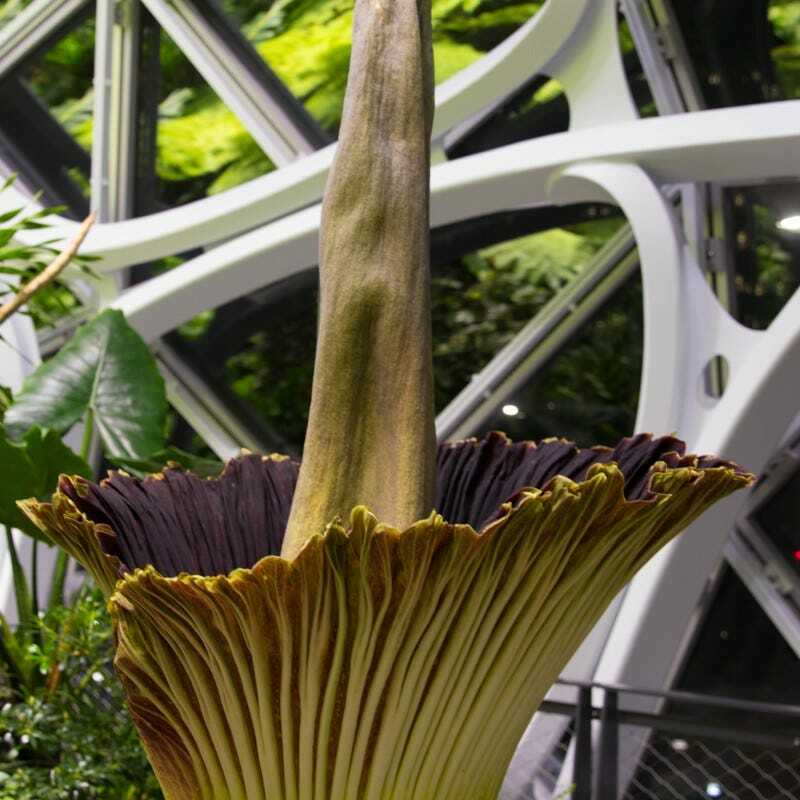 At full bloom, she had grown to 6 feet tall. 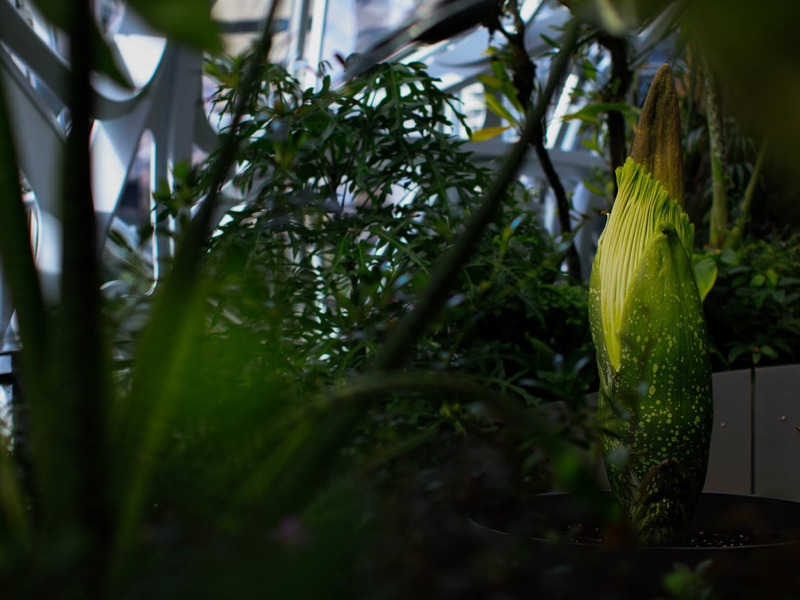 Until the plant bloomed this weekend, it wasn’t giving off the rotting flesh smell it’s known for — that’s only emitted when the corpse flower blooms completely. 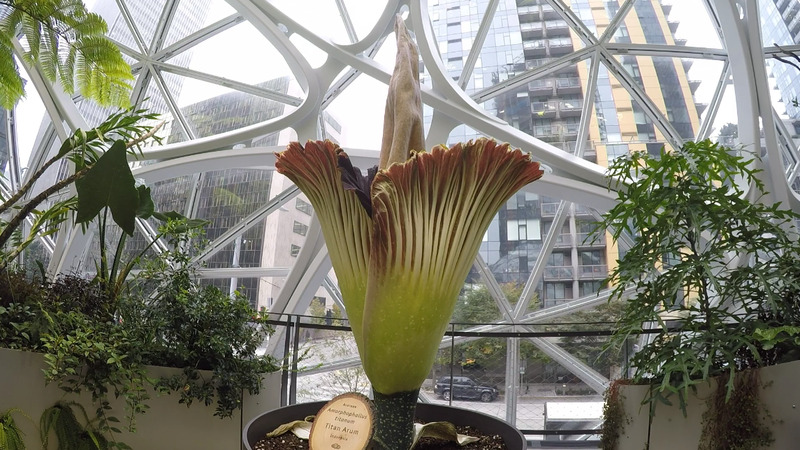 Amazon set up a live stream on Twitch for people to watch the flower bloom, which is about as exciting as watching grass grow. But by Friday night, the corpse flower reached its full bloom. When the flower is in full bloom is also when it gives off the worst of its rotting smell, which is actually used to attract insects for pollination. 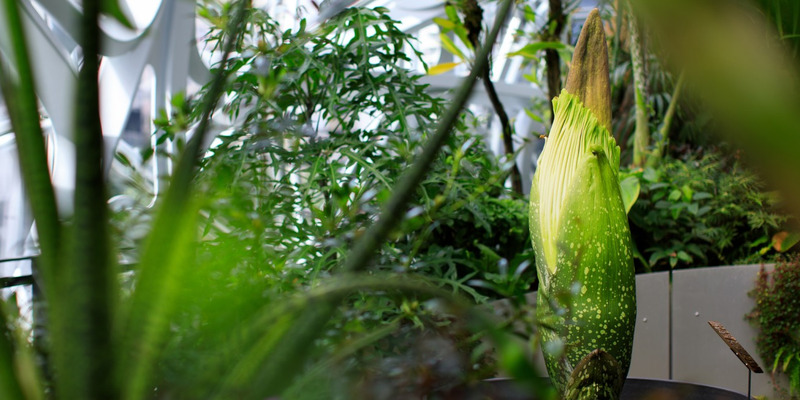 Although Amazon’s plant was only 6 feet tall, corpse flowers can reach heights over 9 feet tall. 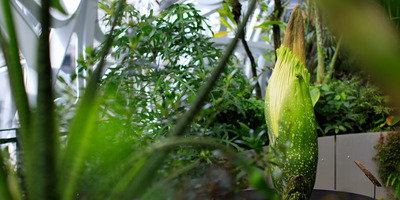 The corpse flower only blooms for 48 hours, so the plant had already started to close up Sunday night. 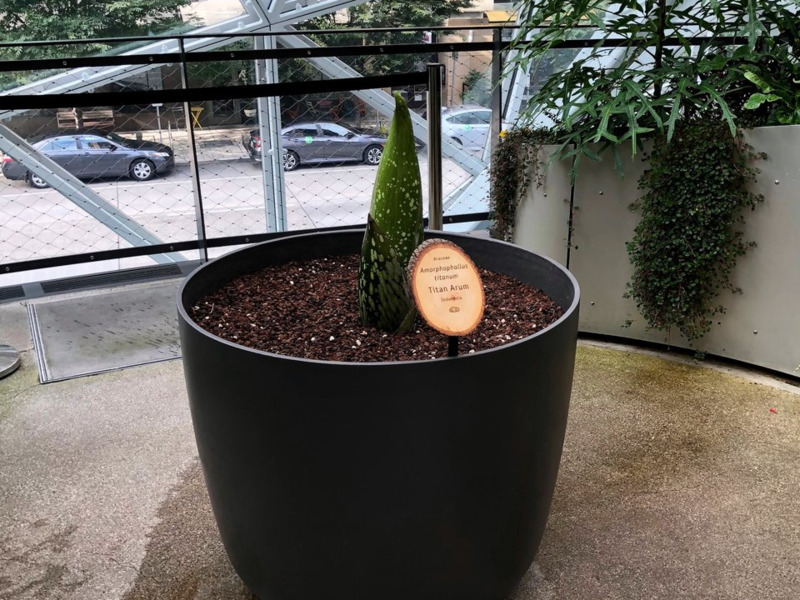 See you all in seven years for Morticia’s next bloom!